With all my direct family here visiting us in Sydney we celebrated NYE for 2012 together, Alex and Doris Mosburger from Austria also joined us. 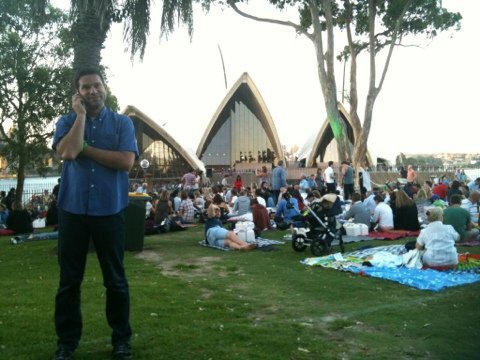 I arranged tickets to the private party area called ‘Lawn with a view’ run by the Sydney Botanical Gardens which is right behind the Sydney Opera house, an excellent view and no queuing up. 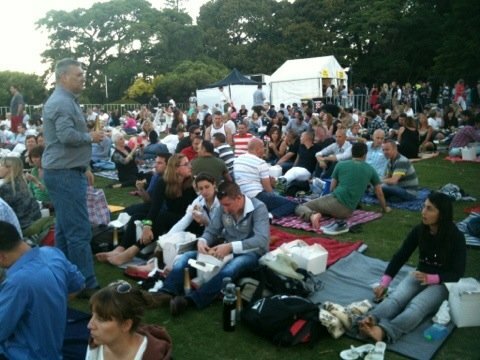 You get a food and drink hamper, some live acoustic music while your waiting for the fireworks and a excellent view. 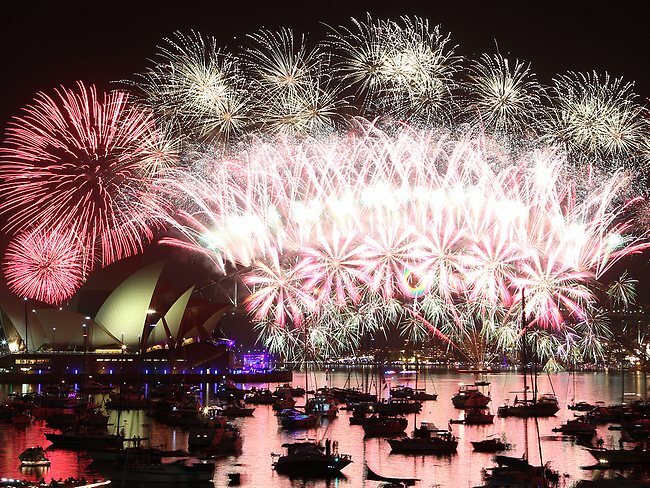 I have been twice now and I would recommend it for your next Sydney NYE. Here are some photos from our NYE. Here is our view with the Sydney harbour bridge just to the left of the photo. Here Alex is on the phone probably to family back in Austria. 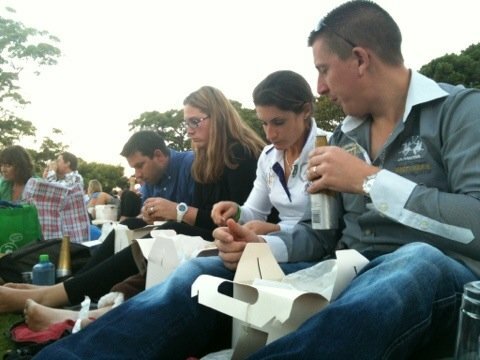 Here are Alex, Doris, Nicki and Michael enjoying the food hamper that you get for dinner. The food was good but the alcohol was expensive, but everywhere is on NYE. I couldn’t take any photos of the fireworks with my iPhone as they wouldn’t come out very well, but they were very good as always, especially he ones off the bridge. Here is a video of the area we watched the fireworks from. The first timers seeing the fireworks Alex, Doris and Michael thought they were excellent. This time dad didn’t get his dinner stolen by a possum that came down the tree. On new years day we invited everyone to ours for a cooked breakfast, cooked on our new Webber barbie. Everything came out well and the cracked eggs cooked in capsicum (peppers) an idea we stole, was a good one. 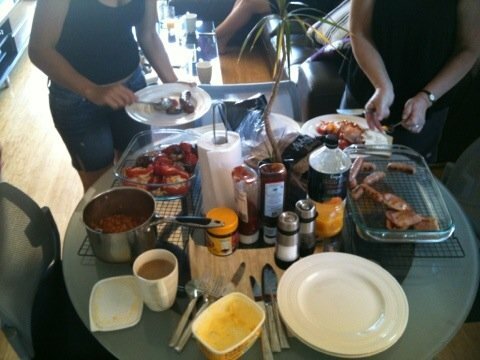 Everyone enjoying their cooked breakfast on new years day 2012 at ours watching Jack Johnson videos on the TV.